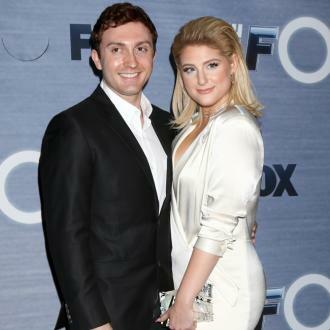 Pop Star Meghan Trainor Is Set To Resume Touring After Recovering From A Vocal Cord Haemorrhage. The All About That Bass hitmaker took to Instagram.com earlier this month (Jul15) to break it to fans that she was struck down with the ailment and she subsequently cancelled a string of U.S. tour dates as she underwent treatment. Trainor took to Twitter.com on Monday (13Jul15) to update followers and express her joy that doctors had given her the all-clear to carry on playing shows. She writes, "DOCTOR SAYS IM GOOD FOR THE #MTRAINTOUR! Get READY #MEGATRONZ I'm coming for ya... Great news!!! DOCTOR SAYS IM OK TO SING!!... so happy!!" The star is set to resume her 2015 tour in St. Louis, Missouri on Tuesday (14Jul15), and she will wrap up the shows in Atlantic City, New Jersey in September (15).